In many ways, the case represented an internal affairs matter for the California legal profession. The California Supreme Court has final say over who can and who cannot practice law in the state. But while the Court’s ultimate conclusion was not surprising, what was surprising was that not a single lawyer sitting on the bench, nor a single lawyer appearing before it, took any notice of the fact that Garcia was receiving very different treatment than other enterprising businessmen. No one commented on the uncomfortable fact that this proceeding, conducted by lawyers before lawyers, established a preferred status for lawyers under the immigration laws. In determining that Garcia was eligible to practice law, the State’s highest court acknowledged that federal law, specifically the Immigration Reform and Control Act (IRCA) created serious obstacles, but it circumvented those obstacles by indulging every legal presumption in his favor. IRCA treats ordinary businessmen in the exact opposite fashion. IRCA marked a paradigm shift in the way the nation controls its borders. Before IRCA, it was illegal for an alien to cross the border into the United States without authorization, but once the alien had crossed, it was not illegal for an employer to hire him, nor was it illegal for the alien to accept employment. The alien faced the risk of deportation, and the employer faced the risk of losing his employee, but neither could be punished for their employment arrangement. IRCA changed that. To eliminate the “magnet” of job opportunity, the Act outlawed, for the first time, the employment of aliens who were not authorized to work in this country. Essentially IRCA shifted the burden of border protection to employers, who were charged with the responsibility of verifying the employability of each and every job applicant. Under IRCA, every presumption is made against the employer. He must check the employability of every applicant. If he fails to check, or if checks the incorrect documents, he commits a civil offense, and is subject to fines — even if it turns out that all his employees are authorized to work in this country. At the same time, employers are forbidden to engage in “citizenship discrimination.” For most jobs, work authorization does not necessarily require citizenship. Permanent residents, refugees, and asylees are also authorized to work. While the law penalizes employers who fail to properly check the work authorization of aliens, it also penalizes employers who discriminate against work-authorized aliens in favor of citizens. Furthermore, employers who navigate safely between the Scylla of employer sanctions and the Charybdis of the anti-discrimination provision, can be fined simply for asking for work authorization documents that are different from or in addition to those promulgated by the government. Again, every presumption is made against the employer. If an employer asks for the wrong documents, he commits a civil offense, and is subject to a fine even if it turns out that his hiring has been done on a non-discriminatory basis, with citizens and work authorized aliens employed equally. That is the world ordinary businessmen face under IRCA. Sergio Garcia confronted a different world when he faced the California Supreme Court. The Court acknowledged that Garcia’s unlawful presence in the United States created a problem for him in taking the oath of office required of every attorney, which includes a promise to “faithfully . . . discharge [the] duties of any attorney at law” including the duty to “support the Constitution and laws of the United States and of this state.‟ Since Garcia is in this country unlawfully, he would be knowingly violating those laws at the same moment he would swear to uphold them. But the Court circumvented this obstacle by holding that violating the law does not necessarily render an applicant unqualified to take an oath promising to uphold the law. To put it bluntly, the Court acknowledged that lawyers can be hypocrites yet still be eligible to practice law. There may be logic in this holding. Not all legal violations are indicia of moral character. But the Court might have at least mentioned that its holding elevated lawyers above lesser practitioners. Ordinary employers take an oath too, and the law is less forgiving toward them. Employers take an oath every time they hire an applicant, and complete a Form I-9 in which they attest, under penalty of perjury, that the applicant is authorized to work in this country. Unlike Garcia, they cannot take the oath knowing it is untrue. If they do, they are punished. Indeed, even if they believe their oath is true — namely, that the applicant is work authorized — they are subject to punishment if they asked for the wrong kind of documentation. The Court’s nonchalance toward the problem of Garcia and the lawyers’ oath was matched by its relaxed attitude toward the employment restrictions Garcia will face when he looks for work. The Court observed that under IRCA, Garcia may not go to work for a law firm or a company, because it would be unlawful for such entities to hire him. The Court also noted the Justice Department’s contention that Garcia could not offer his services to clients as a sole practitioner. In that situation, the hiring client would be subject to federal penalties. To the extent federal immigration law limitations on employment are ambiguous or in dispute, as in other contexts in which the governing legal constraints upon an attorney’s conduct may be uncertain, we assume that a licensed undocumented immigrant will make all necessary inquiries and take appropriate steps to comply with applicable legal restrictions and will advise potential clients of any possible adverse or limiting effect the attorneys immigration status may pose. Now no other entrepreneurs are the beneficiaries of such assumptions. On the contrary, for ordinary businesses, the law assumes that they are untrustworthy. It assumes they will hire aliens who are unauthorized to work, and it assumes they will discriminate against aliens who are authorized, unless they are forced by the government to check and verify and maintain records. Rather than assume that they will “make all necessary inquiries and take appropriate steps” to avoid such unlawful actions, the government requires them to prove compliance by retaining these records for at least three years from hire, and by subjecting them to audits. This despite the fact that ordinary businesses, unlike Garcia, are not already in admitted violation of the immigration laws. 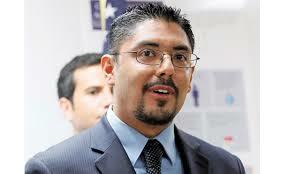 It is possible the Court is right and that Garcia will prove himself worthy of such trust. It is possible that Garcia will turn down billable work, rather than expose the law firm, company, or client wishing to hire him to potential liability under federal law. But no such hopeful treatment is accorded ordinary employers under IRCA. Instead, under the California Supreme Court’s ruling, only lawyers deserve such extraordinary trust. The Court was not the only institution providing separate and unequal treatment to lawyers. Assembly Bill No. 1024, written and passed by lawyers in the legislature, isolated lawyers for special treatment. The legislation’s bill analysis states that “it would exempt a particular class of professional licenses from the provisions” of federal law. That particular class being lawyers. Well, counselor, actually there are plenty of laws in this country restricting entrepreneurs. Some more than others. It seems your fight is not with the California Supreme Court or lawyers, but rather with the California Assembly and the U.S. Congress. Assembly Bill No. 1024 apparently allowed the California Supreme Court to take the action it did. The U.S. Congress’ passage of IRCA sets up the presumptions that you find vexing. As to whether Garcia, can go to work as a solo practitioner. I am not at all sure what you characterize as the Justice Department’s view is the correct one. I don’t think his clients could be charged with a violation of IRCA’s employer sanctions provisions. They would be employing him as an independent contractor and as such are under no obligation to fill out an I-9 form. You state, “If an employer asks for the wrong documents, he commits a civil offense, and is subject to a fine even if it turns out that his hiring has been done on a non-discriminatory basis, with citizens and work authorized aliens employed equally.” It is unfortunately true that the Justice Department has pursued fines in such cases. I do not understand why fines are issued in the first instance in such situations. There may be repeat circumstances that would warrant fines, but when there is no showing that anyone has been denied employment and there is no showing that the practice was intended to dissuade any class of individuals from seeking employment, fines do not appear to serve any useful purpose. Justice could solve this with a common sense use of prosecutorial discretion. Congress could also easily resolve this when it takes up any immigration reform bill. But as so often the case, we have become such a complicated society that the legislatures do not take the time to fix unjust results. Thanks. I should mention to my readers that Andy Strojny is uniquely qualified to comment on this topic. Andy served as my Deputy when I was serving as the nation’s first Special Counsel for Immigration Related Unfair Employment Practices, the agency charged with enforcing the anti-discrimination provision referenced in the post. Later, Andy served as Acting Special Counsel. He has also held a number of other important government positions in the Justice Department, as well as in the EPA and the Department of Homeland Security. If all government officials were as conscientious as Andy, it would be much harder to be an anti-government libertarian. Thanks for the kind words. I did ask the Office of Special Counsel (OSC) almost a year ago, why it sought fines in the circumstances you describe. The reply I got was OSC had to counteract Immigration and Customs Enforcement’s (ICE) practice of fining employers for improperly filled out or lack of I-9s even though no persons not authorized to work were shown to have been hired. The goal apparently is to make OSC as feared as ICE. 1. My head is swimming. 2. Sounds like the law has not caught up with the complexities of the marketplace.